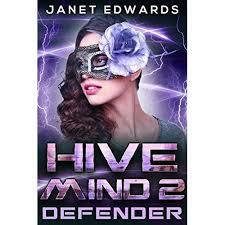 DEFENDER (Hive Mind 2) by Janet Edwards CreateSpace / 354 pgs / £8.99 paperback, £3.99 ebook / ISBN 978-1981728275 Reviewed by Carol Goodwin. I am not a fan of the term YA as I feel it creates an artificial separation and removes many excellent novels from the attention of “adult” readers. Indeed, many fondly remembered … Continue reading "Christmas Countdown Day 16"